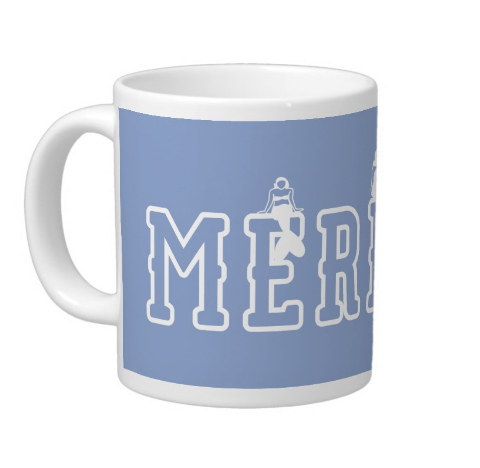 Mermaid Mug by Mermaid Shack holds 20 oz. 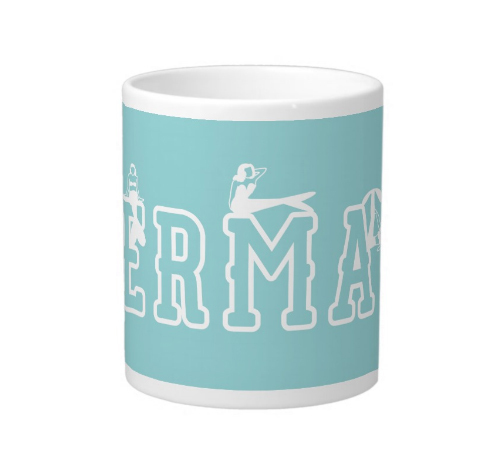 featuring Mermaids climbing, tumbling and resting on the word Mermaid. 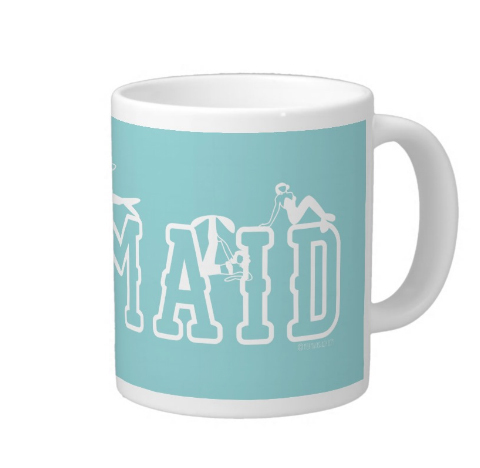 A whimsical mermaid mug brings smiles to any Mermaid lover. All art work is designed for and by the Mermaid Shack. 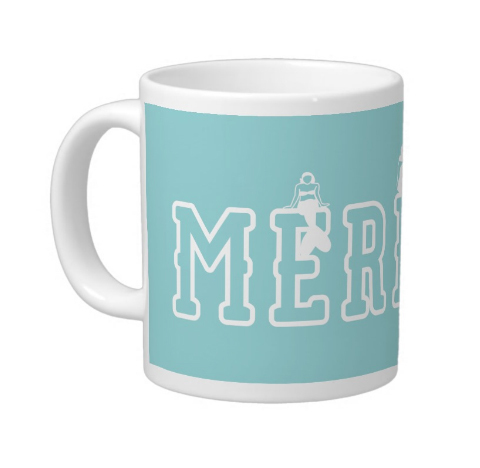 The Mermaid Mug is a Venti pour for those foggy mornings when a Mermaid just wants to stay curled up. 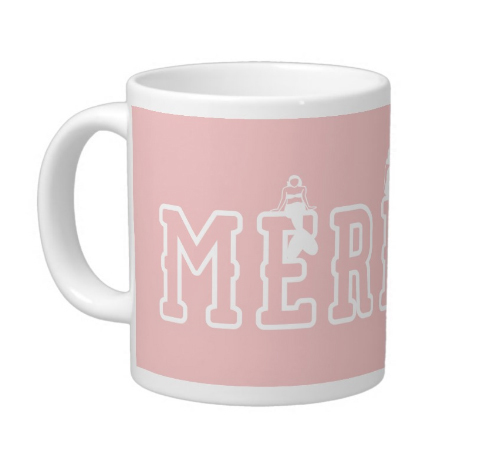 This Mermaid mug will become your favorite mug! 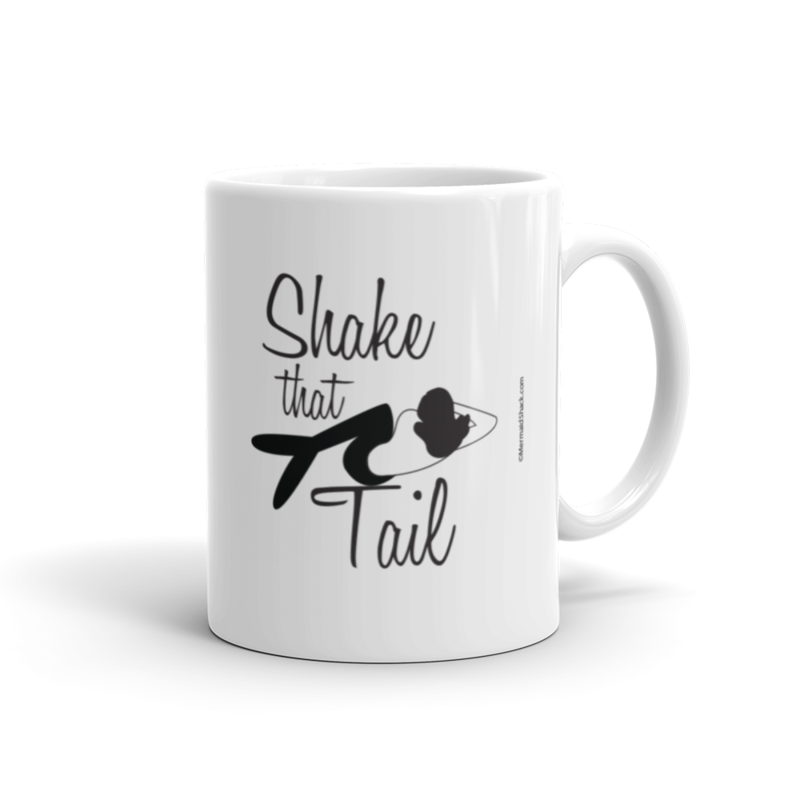 Holding 20 oz of your choice of coffee, tea, chili, soup or ice cream will make this your go to cup. The weight and feel of it makes a perfect for sipping and hand warming! These playful mermaids help to celebrate the start of a new day or remember the joy at the end of the day. Available in your choice of colors: Rose, Blue or Teal. Not your favorite colors? 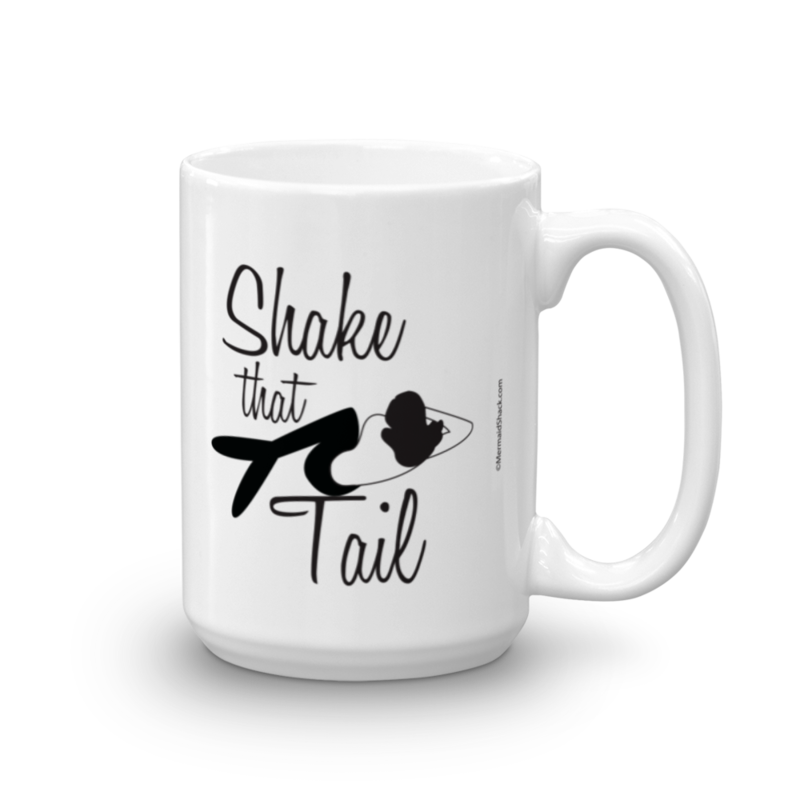 Let Mermaid Shack know at hello@mermaidshack.com and we will consider your request. 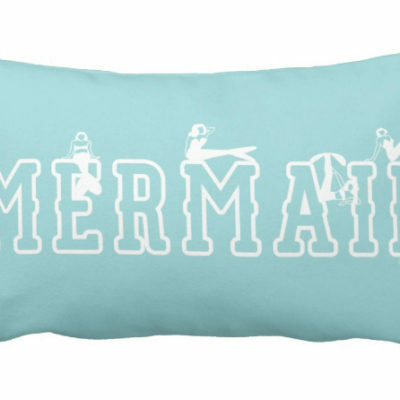 Consider adding a Mermaid Pillow to the gift bag of any Mermaid. Rumor has it this Lumbar Mermaid pillow is used Mermaids lounges on the jetty! Dimensions: 4.5” high x 3.9” diameter.